The game is now integrated with Steam Workshop providing an alternative method for sharing content such as photo/logo packs, competitions and user created challenges using the new Challenge Editor. FM14 features a revamped transfer module where opposing clubs and managers adopt a more realistic approach when making or responding to transfer offers. In addition, a number of new ‘real world’ transfer clauses have been added, such as the ability to loan a player back to the club he’s just been bought from and the option to offer a combination of cash and loan players, as well as new contract clauses such as a sub bench appearance fee. The old ‘turn-based’ system of transfer negotiations can now be done two ways, the tried and tested system and a new ‘live’ system, similar to that used in Football Manager's contract negotiations. 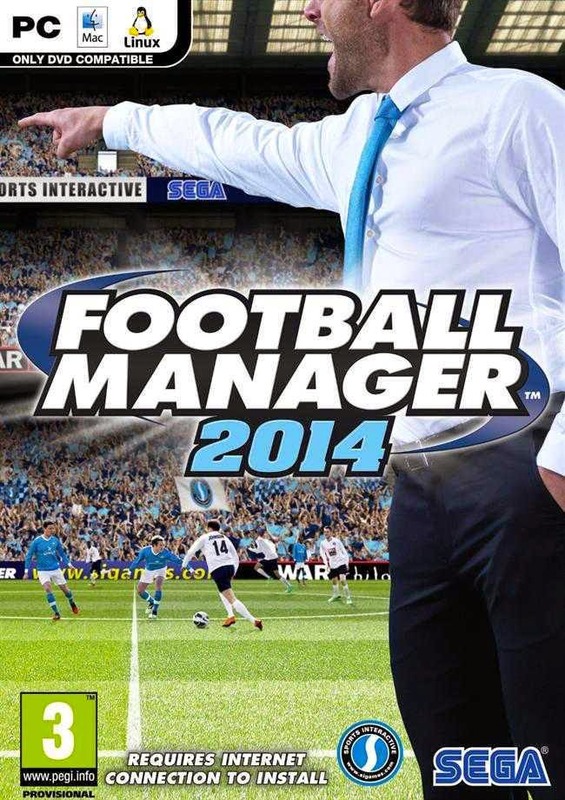 Interaction between players, managers, their rivals and the media has been improved. For example, members of the coaching staff now offer feedback on how reserve and youth team players are performing. Managers can also ask key players to have a word with unhappy squad members, while the introduction of an end-of-season meeting allows the manager to let the squad know how they have performed and set targets for the coming season. Contract negotiations are more realistic in the game, as managers and boards can now make demands and lay down their visions for the club in both initial job interviews and contract renewal discussions. Managers can attempt to renegotiate transfer and wage budgets as a reward for staying loyal if they’ve been offered a job by another club, with the outcome helping to aid their decision on whether to move or not. The news system has been overhauled so managers can now deal with many club matters directly from their inbox. In addition, news is now colour-coded, based on category, and contains more detail – for example, scout reports now appear as a single news item with a top-line report on all players scouted and the facility to short-list or make an offer for each of these players. For the first time in the series, star players will have a testimonial having been at the club for a certain period of time or when they announce their retirement. 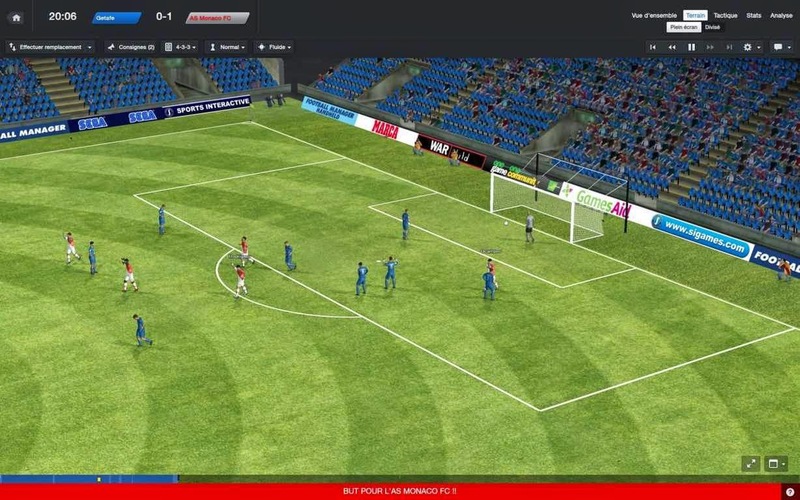 The match engine features extensive improvements, including enhanced AI, improved lighting and player animation, individual player character and kit models, more realistic player reaction to on-field incidents and a range of optimisations. 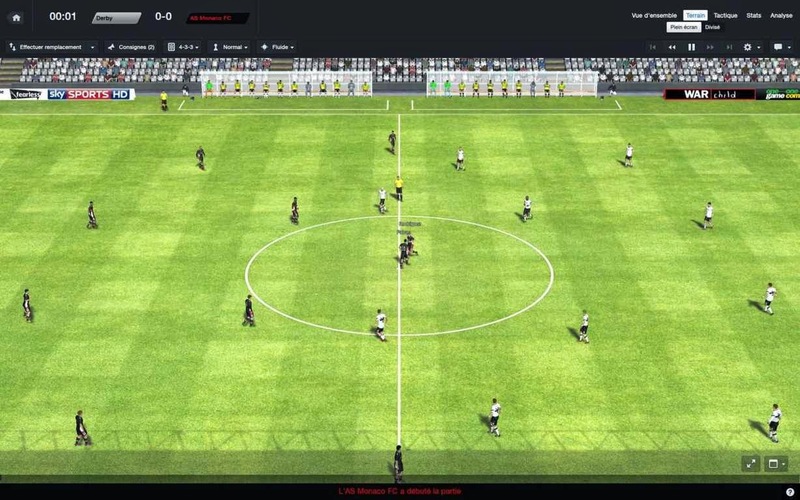 Creation of tactics, selection and implementation with player roles and team strategies, definable roles for players for multiple positions, new player roles and instructions and improvements to rival managers’ AI have been overhauled so that they adapt their tactics more readily over time. There is a total of 51 initially playable nations and 117 playable leagues. 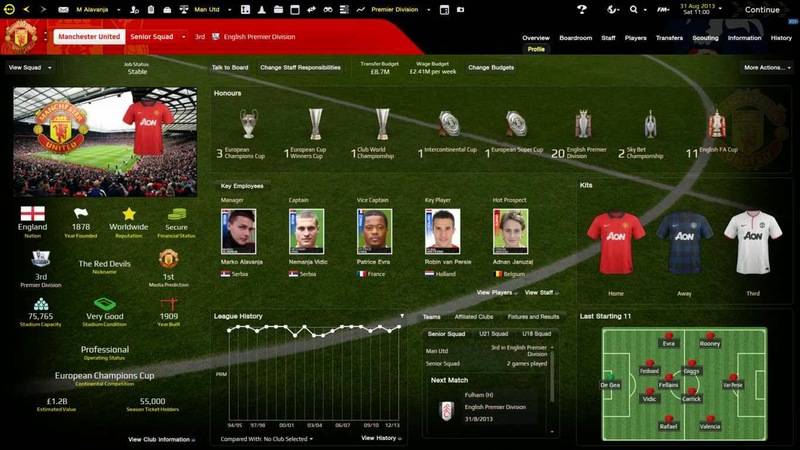 The editor allows the players to add any lower-level league to existing leagues, as well as the creation of new ones.